The Samsung Galaxy C9 Pro is one of the latest smartphones with an upper mid-range price. This is a premium quality device with a large 6-inch display. The Galaxy C9 Pro is one of the best performing phones with Octa-core Snapdragon 653 processor and 6GB RAM. The phone also comes with 64GB internal storage memory. And yes, this is also an ideal smartphone for the people who love take photos or selfies. Both back and the front camera is 16MP that is quite good enough to take high-quality images or record videos. However, if you already buy this phone or have a plan to get one, then it’s time to get some cases and covers. 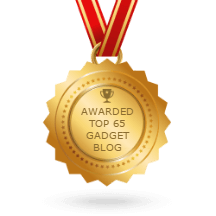 So in this post, I’m going to share some Best Samsung Galaxy C9 Pro Cases and Covers. Hope my recommended list will help you to select the ideal cover or case for your Samsung Galaxy C9 Pro. Looking for a slim designed case cover to protect your C9 Pro? The Mustaner Ultra Thin Hard Case For Samsung Galaxy C9 Pro is a premium quality case that could be an ideal one. 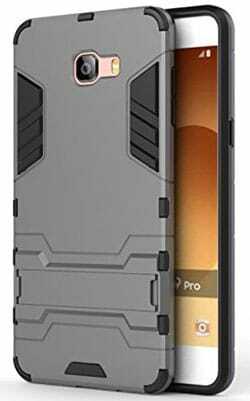 The case specially designed for the Galaxy C9 Pro 2017 version. The precious cutouts and perfect fit design ensure easy access to the headphone port, charging port, mic, camera and all buttons. The solid back panel will keep your C9 Pro safe from fall, bumps or scratch damage. The DAMONDY Galaxy C9 Pro case is one of the best-selling case that made of premium quality materials. The case is available in five different colors. The TPU material ensures maximum protection against drop, bump or any kind physical damage. 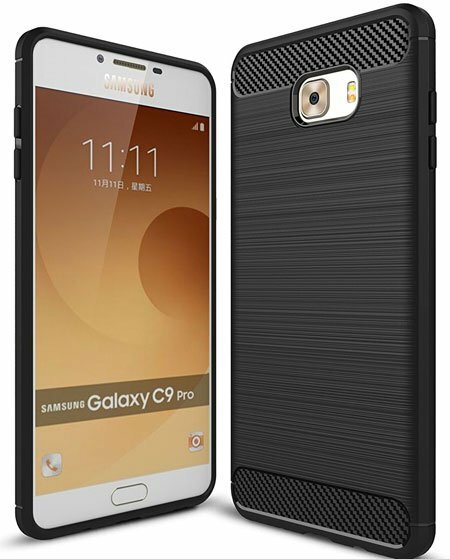 The back panel of this Galaxy C9 Pro Back Cover comes with carbon fiber texture. And it helps to operate your device in one hand smoothly. 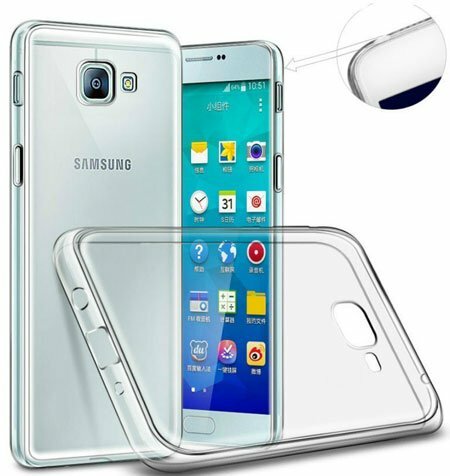 People also love to use a transparent bumper case cover to protect their smartphone. If you are also looking for a Transparent Bumper Case Cover to protect your Galaxy C9 Pro, then this is the ideal one. The case made of non-toxic and environment-friendly TPU materials. The super slim and custom-fit cases designed to ensure maximum protection without adding extra bulk. Looking for a stylish and fashionable case or back cover to protect your Galaxy C9 Pro? The Galaxy C9 Pro Case by TopACE is here with premium quality and stylish outlook. 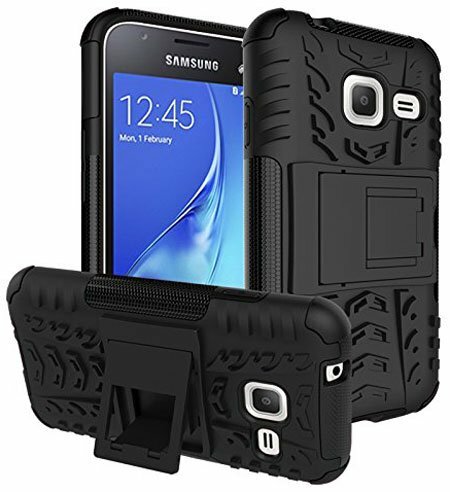 The two in one combo case comes with a built-in kickstand and anti-skidding smart design. The hardback side will help your device safe and smooth grip ensure easy one hand operation. The case is available in four different colors. 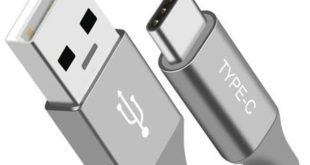 The IVSO is a well-known and most popular smartphone accessories brand. 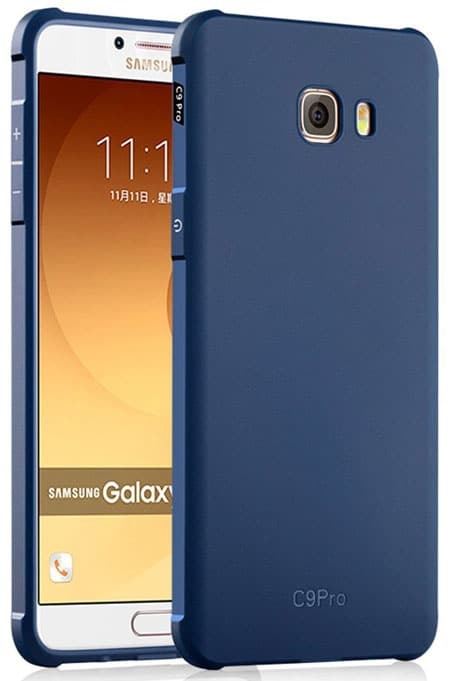 The IVSO comes with a hybrid bumper case cover for the Galaxy C9 Pro. 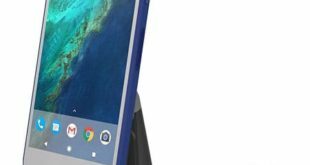 The case also comes with a built-in kickstand and made of TPU and hard Plastic materials. The kickstand is perfect to access your device screen horizontally while watching movies or browsing the web. The FaLiang Galaxy C9 Pro Case is also a slim and stylish case like the Mustaner one. The case available in three different colors and comes with decompression framework. The decompression design framework adds an extra security layer to protect your device from any kind physical damage. 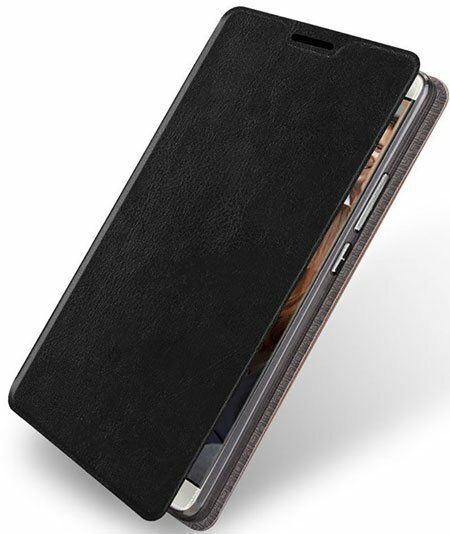 The case specially designed for the Galaxy C9 Pro version, so you can easily access all buttons, headphone jack, charging port, camera, and flash. 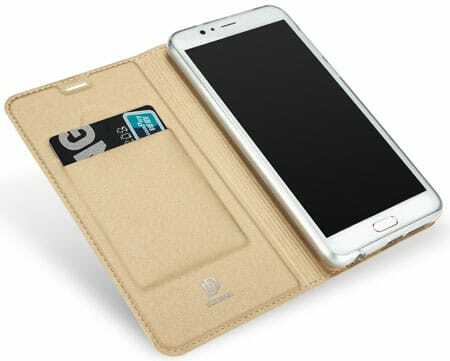 If you are looking for a flip cover case to protect your Galaxy C9 Pro, then you are in the right place. 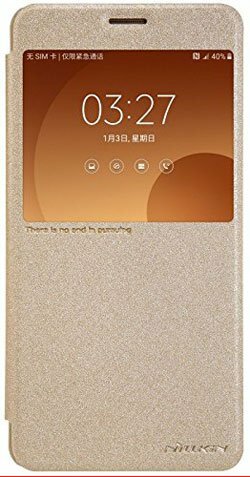 The Nillkin Sparkle Leather Case for Samsung Galaxy C9 Pro is a premium quality flip cover case that made of imported leather and Polycarbonate materials. The PC back side ensures the device protection against drop, hit or dump damage. Another premium quality case cover for the Samsung Galaxy C9 Pro from Mustaner. This is also a flip style case cover and made of PU leather material. The inside iron sheet ensures protection against any kind damage. The dustproof and anti-scratch surface will keep your device screen looks new. The case is available in Black, Brown and Black Stripe colors. The Galaxy C9 Pro Case from Starhemei is another flip style case cover that is available in four different colors. The case made of PU leather and hard Polycarbonate materials. The leather surface makes this case stylish and smooth. The hard Polycarbonate back side will keep your device safe from damage. 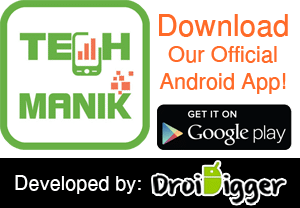 The KuGi is also one of the renowned smartphone accessories brands. They are mainly popular for their high-quality smartphone cases and covers. 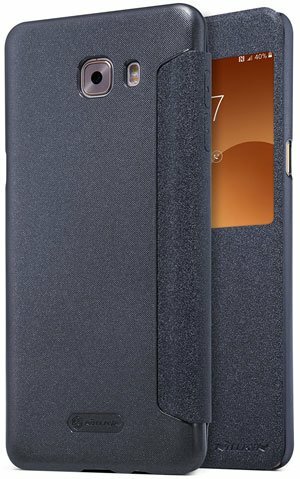 The KuGi comes with a wallet style flip case cover for the Galaxy C9 Pro. The case made of premium quality raw materials and available in four different colors. There is a card holder available inside the case to store your credit/debit card, ID card or money. Different people like to use different kind case or cover to protect their smartphone. 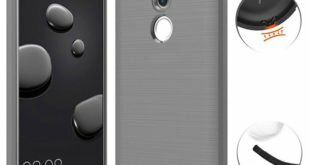 So we share here these 10 Best Samsung Galaxy C9 Pro Cases and Covers. Hope you already get your desired case or cover for your Galaxy C9 Pro. If not, then you can also let us know by commenting below about your favorite one. These cases look amazing. it’s going to be hard to settle on just one of them; I might just get two or three, just in case.